It’s tough for players from the smaller region to compete on the world stage. The StarCraft 2 World Championship Series Global Finals will begin next month at BlizzCon, but don’t expect to see any Australian players take the stage. For the sixth straight year since the implementation of the WCS format, Australia has failed to produce a representative who qualified for the event. The last Australians to compete in a StarCraft 2 world championship are Andrew “mOOnGLaDe” Pender and Tim “MaFia” He, who reached the event directly through an Oceanic qualifier. Of course, the WCS global final has always been tough to enter for players outside Korea, with some years seeing just one competitor from outside Korea or even none. The creation of the WCS Circuit in 2016 has somewhat evened the playing field, but for players from the Oceania and Southeast Asia region, it’s still a tall mountain to climb. “We just don’t have enough of a player base to consistently improve,” Australian Terran player Nicholas “HuT” Hutton told Dot Esports, after his win in the OCE/SEA WCS Montreal qualifier. This year’s great hope was 24-year-old Terran player Sheldon “Seither” Barrow, who ranked 21st in the WCS Circuit with 830 points. Entering the final event qualifier for WCS Montreal, Seither had 740 points, enough to put him in qualifying range with a podium performance in Montreal. But Seither couldn’t escape his own region, failing to advance from his regional for the first time in 2018. Tackling Montreal in his place were Protoss player Sean “Probe” Kempen and HuT. Neither player managed to advance from their group in Montreal, though HuT came one map away from the bracket stage on two separate games. He beat 16-year-old French Terran Clément “Clem” Desplanches but fell in two close 2-1 series to American Zerg Jarod “JonSnow” George. HuT exited Montreal with 660 circuit points, ranked 27th overall, while Probe placed 25th with 690 points. Earning points on the WCS Circuit this year was tough for most players, though, because one man was hogging them all. 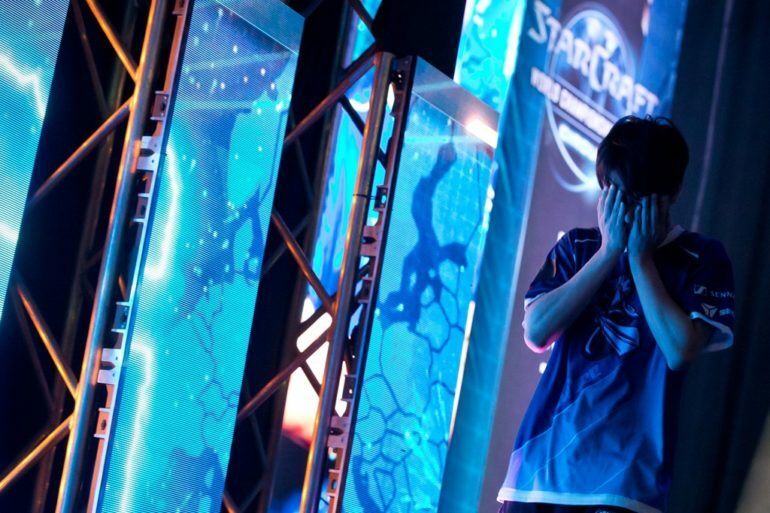 Finnish Zerg player Joona “Serral” Sotala took the championship at all four WCS Circuit events this year, winning all four auto-berths to BlizzCon while scoring 14,090 points, leaving the rest of the field fighting for scraps. Surprisingly that isn’t a perfect score; Serral missed out on 60 points because he fell to Polish Zerg Mikołaj “Elazer” Ogonowski in the European Qualifier for WCS Leipzig back in January. Serral is the first non-Korean player who looks like a real contender heading into a StarCraft world championship since 2012, already beating Korea’s best once this year at GSL vs. the World. That’s hardly a consolation to fans in Australia, though, who won’t get to see their StarCraft 2 players on the big stage. But don’t worry—the land down under will be well represented at BlizzCon. Mindfreak qualified for the Heroes of the Storm Global Championship by beating Latin America in the Intercontinental Clash and Team Australia survived a tough group to reach the final stage of the Overwatch World Cup.